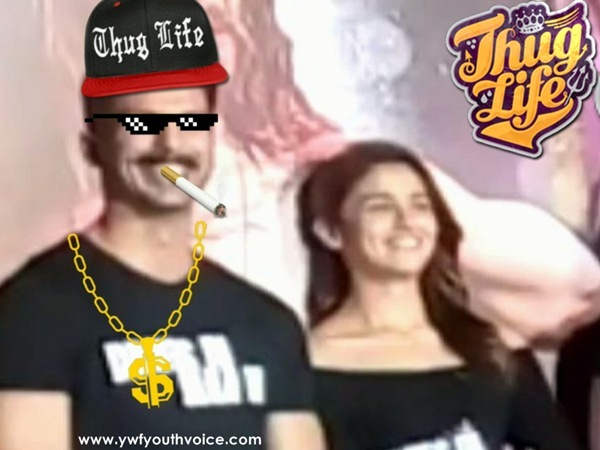 During trailer launch of ‘Udta Punjab’, Bollywood actor Shahid Kapoor admitted in "thug life" style that he is going to become a father. Must Watch This Funny Video. During trailer launch of ‘Udta Punjab’, Bollywood actor Shahid Kapoor admitted that he is going to become a father. When asked about reports about his fatherhood, the actor told reporters, “Why are you asking ghuma firake (round about), ask directly. Yes…haan main baap banane wala hoon, kya kar loge"
Shahid’s former girlfriend Kareena on the stage found his reaction amusing. The two have teamed up after a long time on screen with “Udta Punjab”, but the former couple doesn’t seem to be keen on pairing up against each other. You may also like to read: Udta Punjab Movie: Trailer Out Now! And It's Very Promising!